The worldwide tournament was a success, and now another one is on the horizon! Fight against the bravest fighters of the word in The King of Fighters '97! 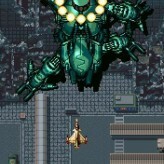 The King of Fighters 1997 is the fourth installment of the 2D fighting game series. 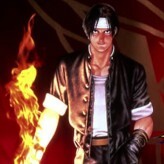 Despite the tragedy of the last tournament, the KOF tournament sparked the fans from all around the world, resulting in yet another brutal martial arts competition. 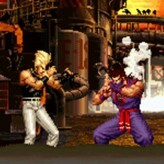 Select a team and pick between two distinct fighting styles in this beautiful fighting game from SNK. 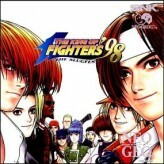 The King of Fighters '97 is a fun online Classic game that you can play here on Games HAHA. If you enjoyed this game and want to play similar fun games then make sure to play The King of Fighters '98, The King of Fighters '94 or The King of Fighters '96 or just go to the Classic games page. The King of Fighters '97 has been played 16,064 times and is another one of the many Classic games that we offer, and if you want to play more games we have see the Fighting games page.